Designed for audio recording studio and exacting audiophiles. CUE Splitter of audio files FLAC, WAV, DSF, other cut large file to separate tracks by *.cue (index file). New Article: What is DSD? Noise level, bit depth and sample rate. Quality issues. 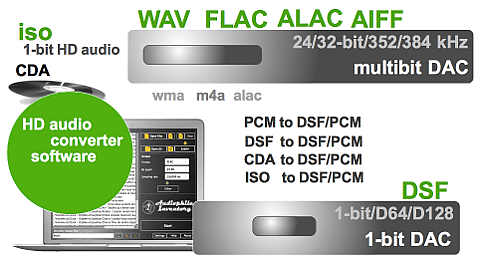 Video: How to convert DSF to FLAC, WAV, AIFF, mp3 and other audio files with AuI ConverteR 48x44. 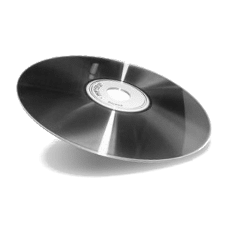 Video: How to convert AIFF, WAV, FLAC to DSF audio files with studio audio converter software AuI ConverteR 48x44. Video how to convert DFF to PCM files with AuI ConverteR 48x44 step-by-step. This kind of conversion supported in configurable Modula-R, Audiophil-E, PROduce-R, PROduce-RD editions. 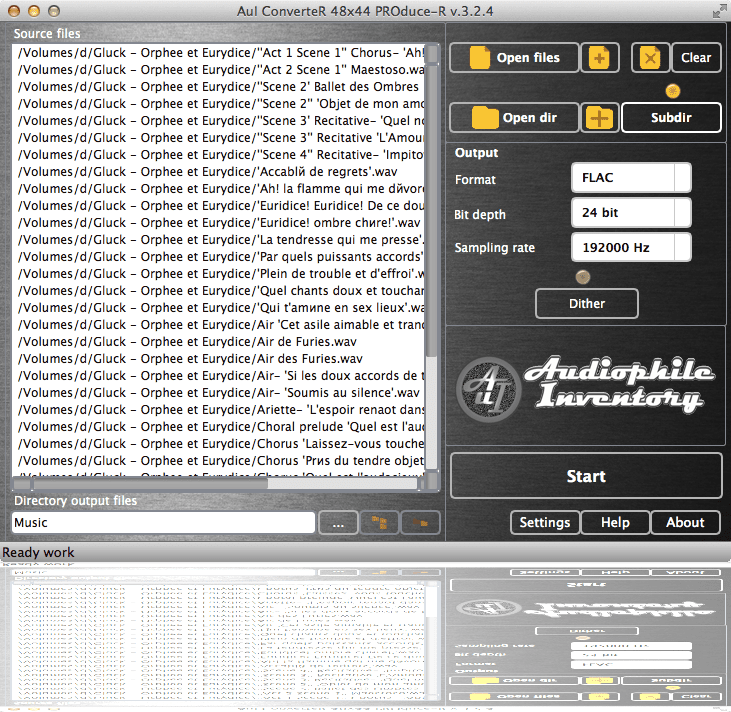 Read step-by-step tutorial .ISO to .FLAC conversion with AuI ConverteR 48x44 and video. Video how to convert ISO to DSF files with AuI ConverteR 48x44 under Ubuntu Linux step-by-step. This kind of conversion supported in configurable Modula-R, PROduce-RD editions. We create software for audiophile computers. 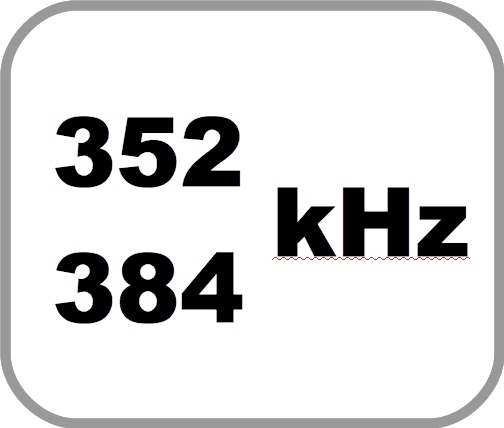 Copyright © Yuri Korzunov ("Audiophile Inventory" (since 2011), "AudiVentory", "Audiophile Inventory by AudiVentory.com".